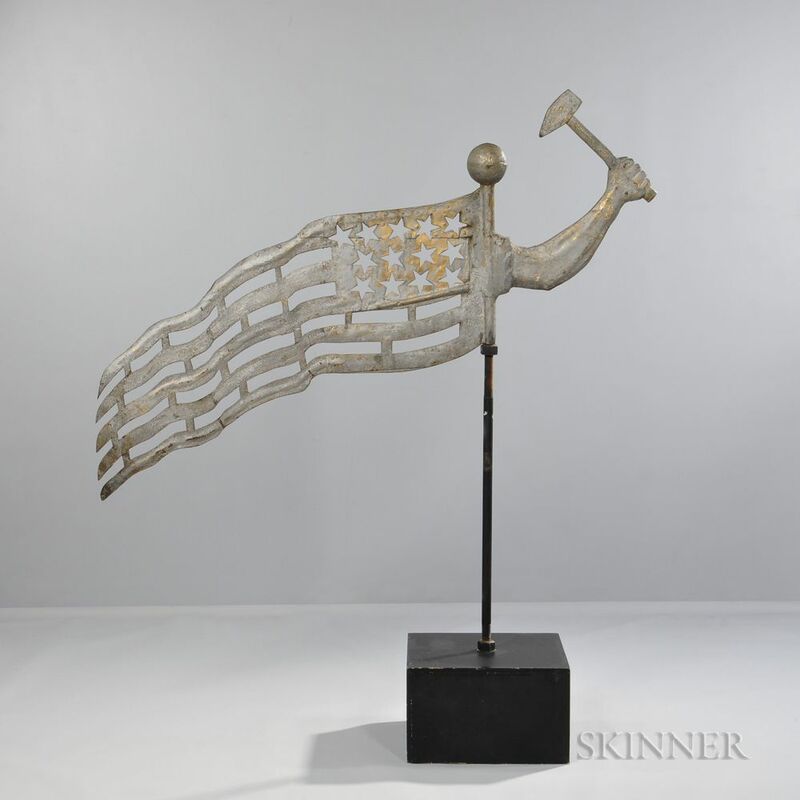 American Flag and Arm and Hammer Weathervane, America, third quarter 19th century, the silhouetted sheet copper image of a waving American flag with a full-body extended arm holding a hammer in clenched hand, topped by a ball finial, old surface of gilding and later silver paint, on stand, ht. 25 1/2, lg. 65 in. Provenance: Betty Sterling, Randolph, Vermont; Auction of Bernard M. Barenholtz Collection of Important American Folk Art, Sotheby's, New York, January 27, 1990; Skinner, American Furniture & Decorative Arts, August 15, 1999; to a private Massachusetts collection. Literature: Robert Bishop, American Folk Sculpture, p. 146, illustrated. 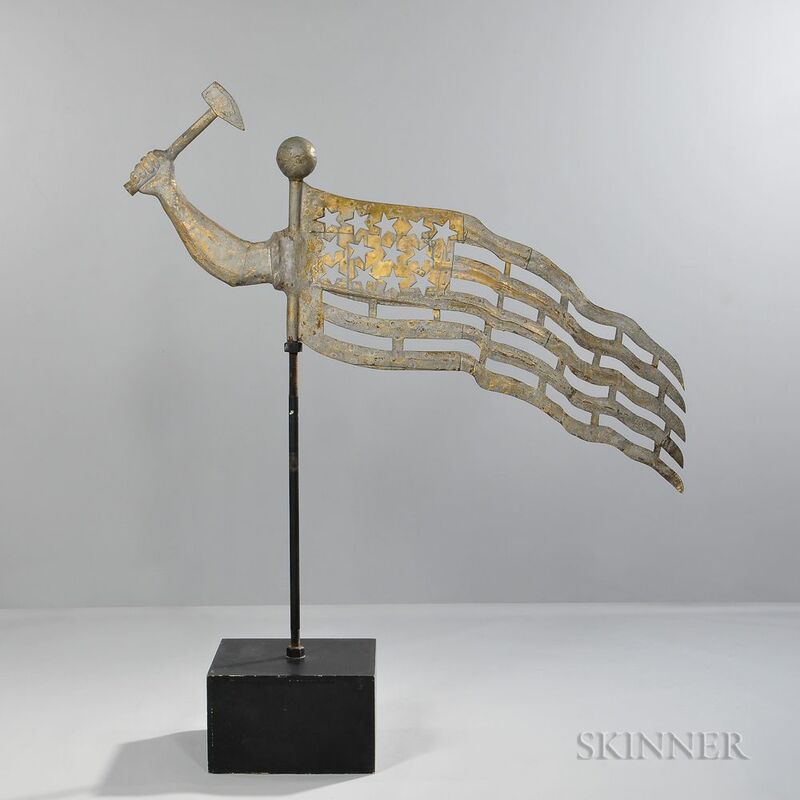 Note: This weathervane may have been on a Mechanics Guild Hall.